Looks like things are getting real serious! 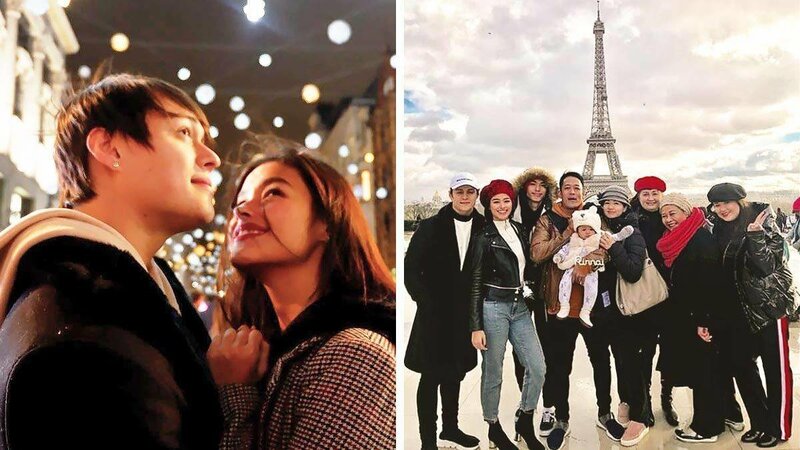 For the past few weeks, Liza Soberano and Enrique Gil have been traveling around Europe, and it seems like they—and their families—are getting closer than ever! Their first stop was in London, U.K. where they spent Christmas together with their siblings and Quen's mom. Next stop was Paris, France, where Liza reunited with the rest of her family. Liza and Quen also met up with Pinoy Big Brother alums, Maymay Entrata and Edward Barber, who were in the City of Love for the holidays, too.